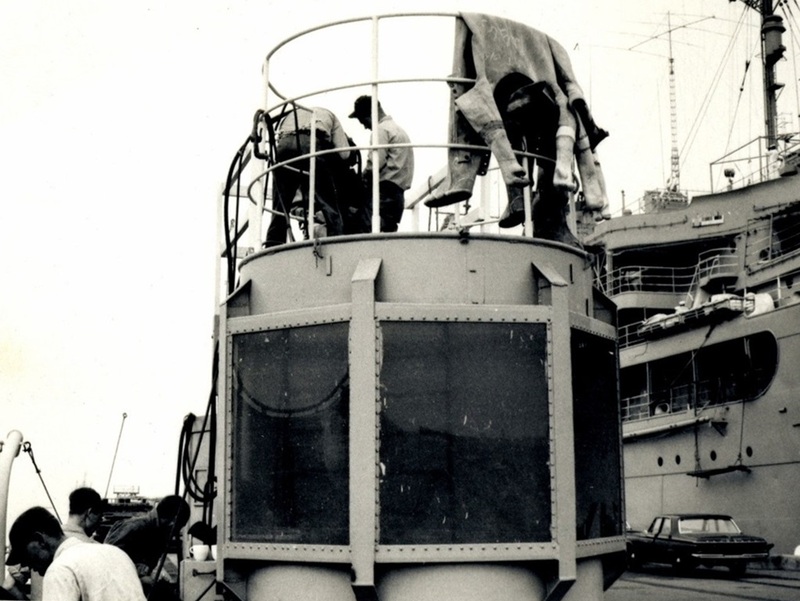 A cargo barge, converted to a diving school was our main venue for class room and surface supplied diving training. This was on the Naval Station San Diego, 32nd Street. 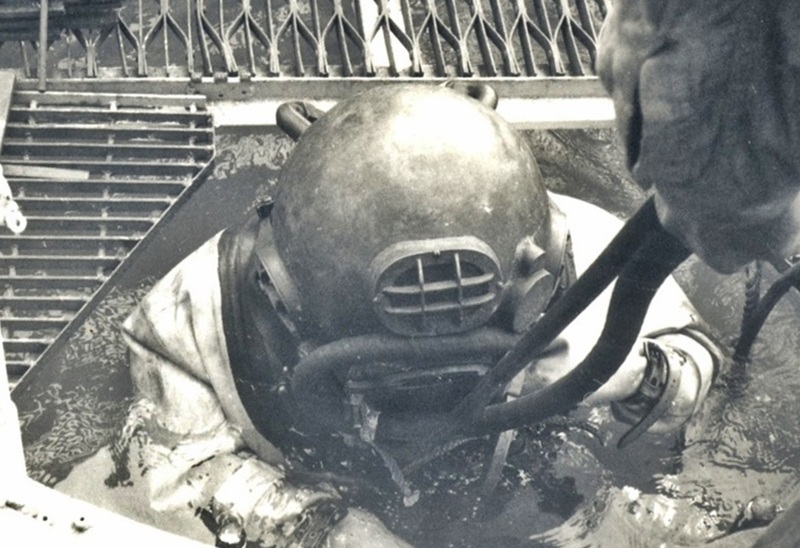 This is BM3 Karl-Wilhelm Welteke under the Navy Diver School sign on the diving barge in 1963. 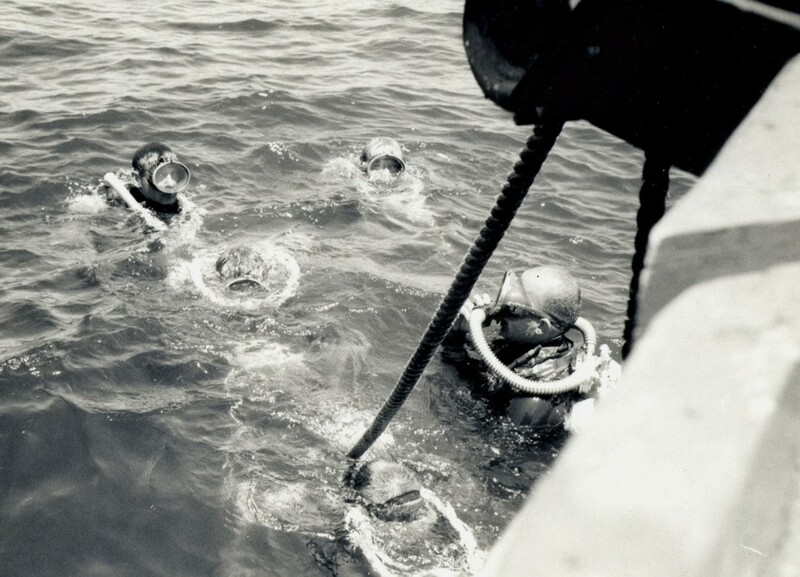 Navy Diver Second Class students at their morning swim, 1963. 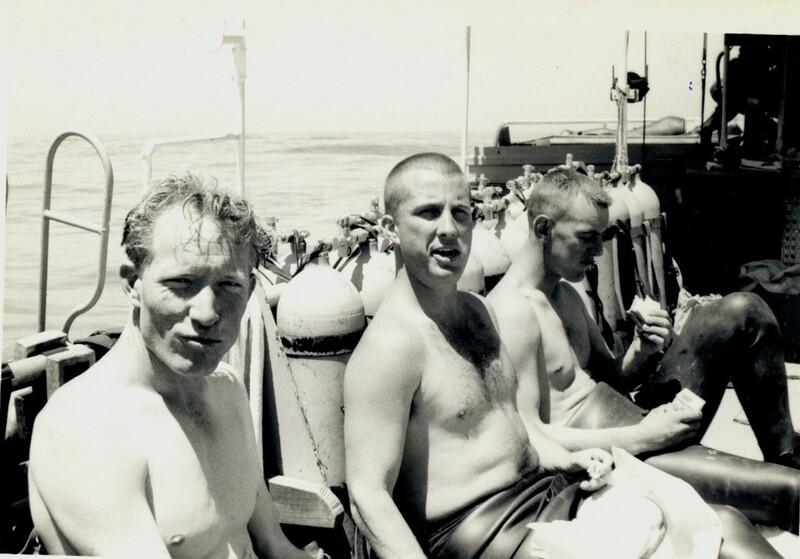 Every school day, in the Navy Diver School, Second Class, San Diego 1963; we either run or swam for physical training. This was on the Naval Station San Diego, 32nd Street. Look at all those LSTs still in commission. There were 3 Amphibious Squadrons in San Diego. My buddy and I were from Amphibious Squadron 7 in Long Beach CA. 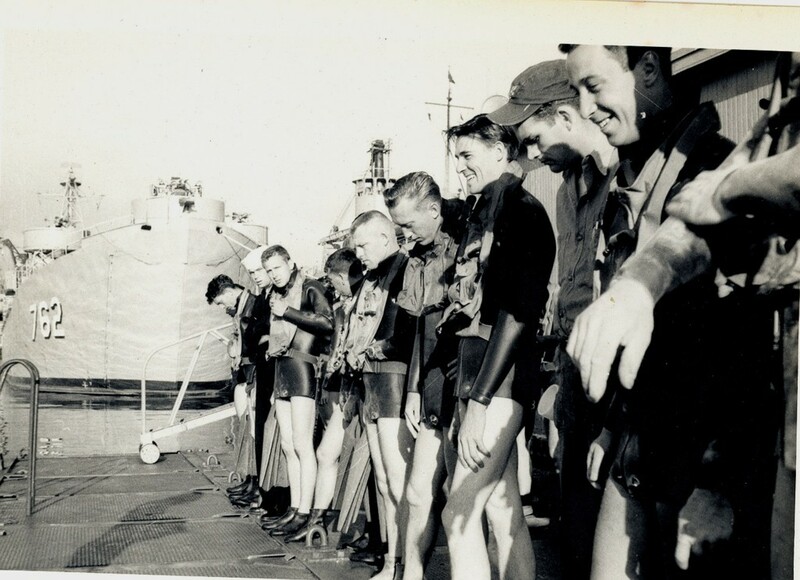 Navy Diver Second Class students are lined-up for the morning swim, 1963. Every school day, in the Navy Diver School, Second Class, San Diego 1963; we either run or swam for physical training. This was on the Naval Station San Diego, 32nd Street. 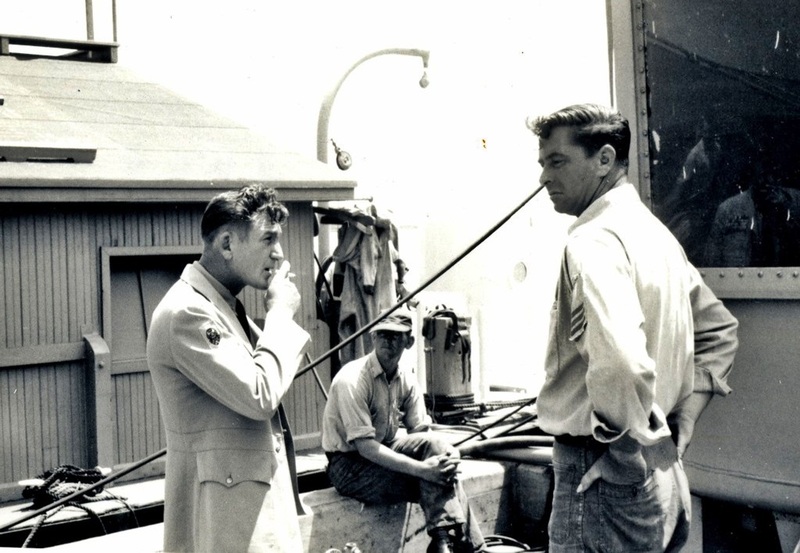 The first uncovered head is my buddy DC2 Auman, we were sent here from the USS Belle Grove LSD-2 from Long Beach CA. 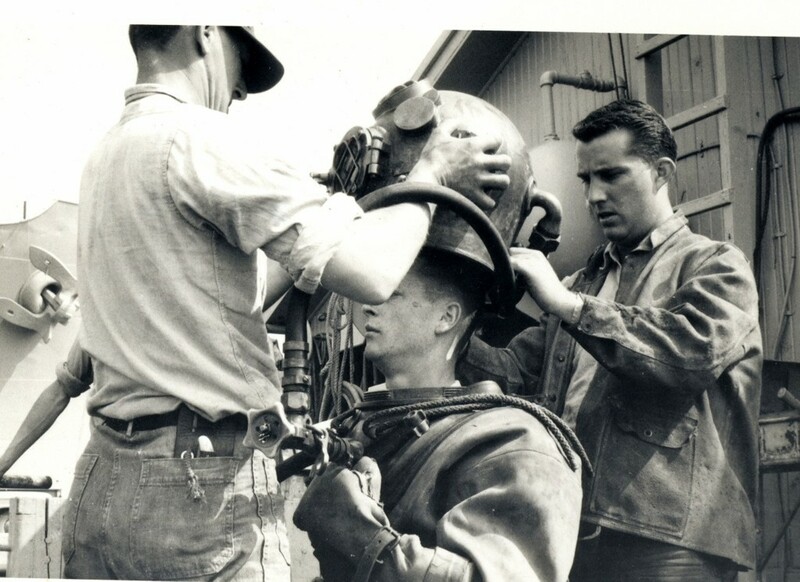 Navy MK5 Hard Head Diver at the Navy Diver School, Second Class, San Diego 1963. 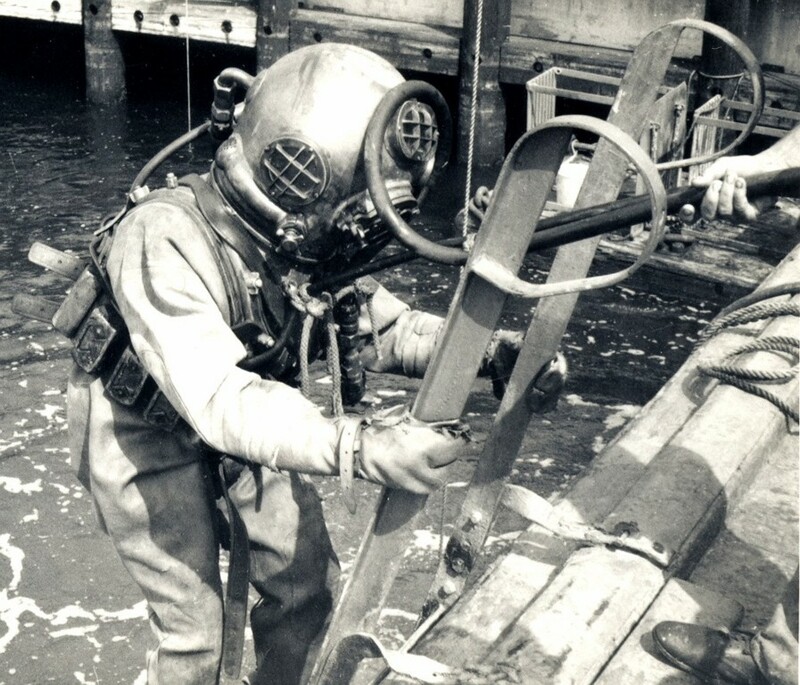 From one end of the Navy Diver School barge we trained in the use of the Surfaced Supplied Diver Equipment, such as this Hard Head and the Jack Brown Diving Mask and had to pass accomplishing work projects under the water. Class 6-63 Navy Diver School, Second Class, San Diego 1963 Graduation. 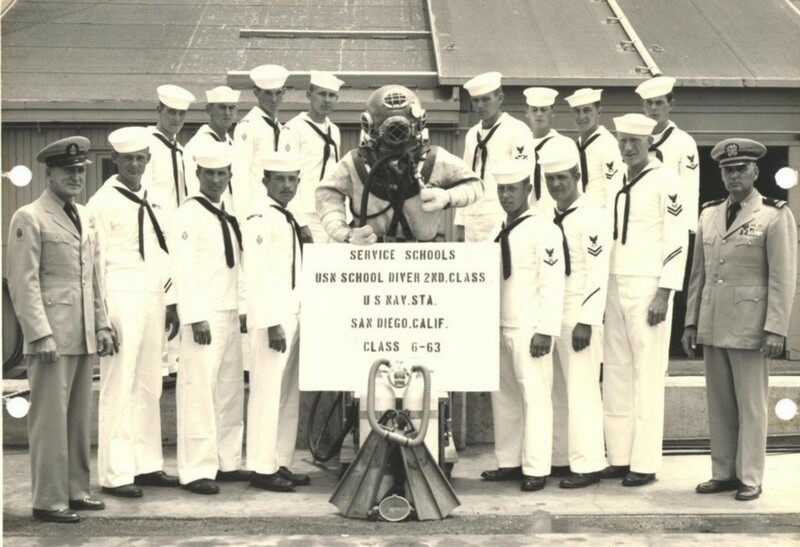 Class 6-63 Navy Diver School, Second Class, San Diego 1963 Graduation picture. We still wore our diver designation batch on our upper right sleeve. Left in khaki was the Master Diver and right was our Diving Officer in Charge. My buddy DC2 DV2 Auman and I, BM3 DV2 K.-W. Welteke are the last 2 people at right of the rear row. 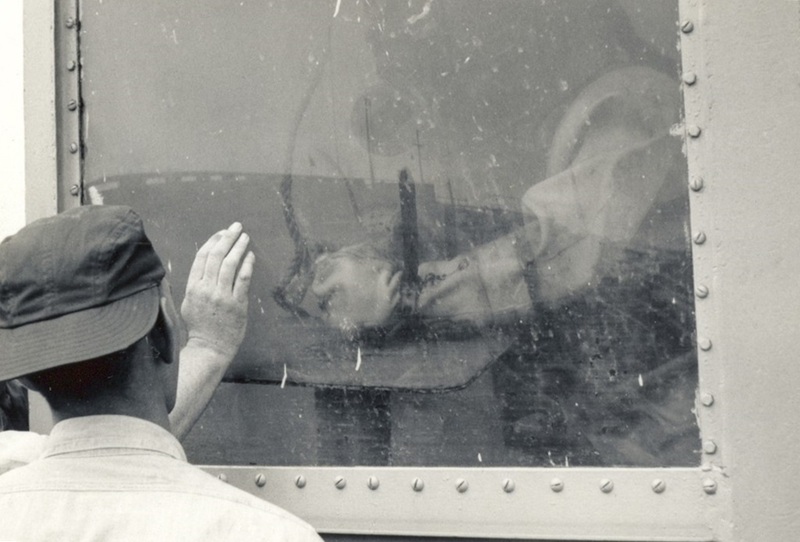 Class 6-63 Navy Diver School, Second Class, San Diego 1963 MK 5 Diving Dress Diving Training from the Diving School Barge; the diver is getting dressed. 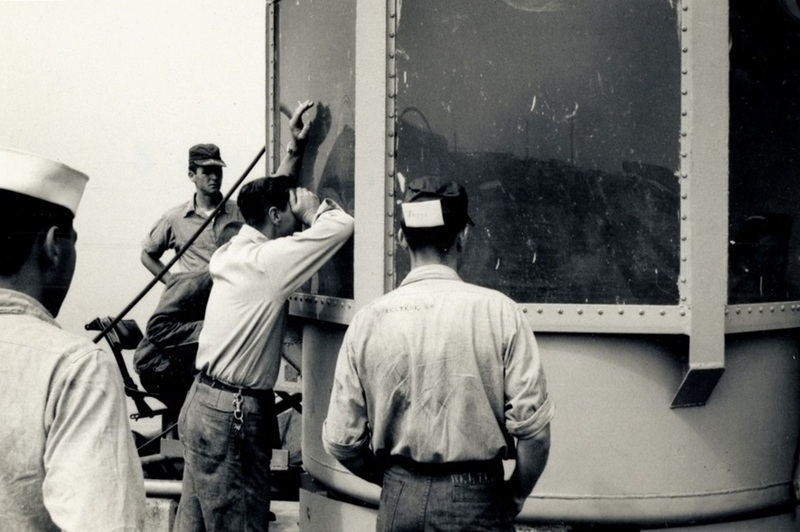 Class 6-63 Navy Diver School, Second Class, San Diego 1963 MK 5 Diving Dress Diving Training from the Diving School Barge; the helmet is coming down. Za812. 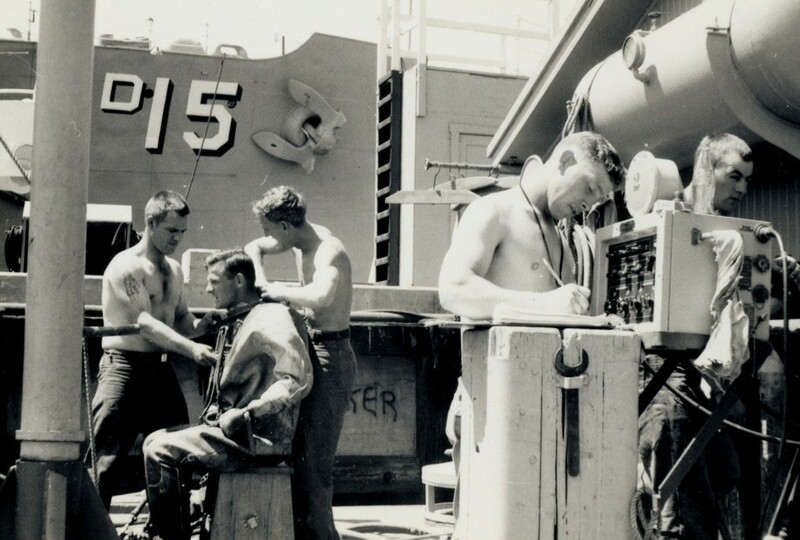 Class 6-63 Navy Diver School, Second Class, San Diego, the training tank, diver is getting dressed. Za813. 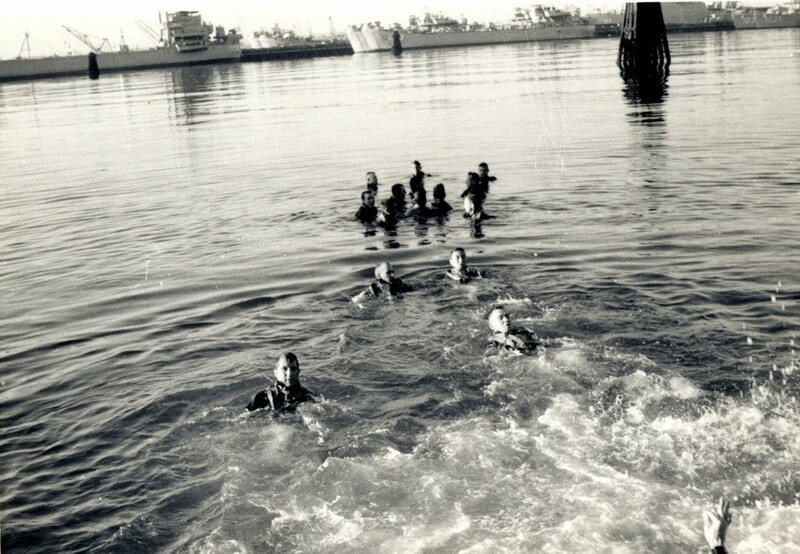 Class 6-63 Navy Diver School, Second Class, San Diego, the training tank, diver enters the water. Za814. Class 6-63 Navy Diver School, Second Class, San Diego, the training tank, the instructor and students are watching. Za815. Class 6-63 Navy Diver School, Second Class, San Diego, the training tank, Diver is doing project. Za816. Class 6-63 Navy Diver School, Second Class, San Diego, the training tank, the Master diver & instructor. Za817. Class 6-63 Navy Diver School, Second Class, San Diego, the training tank, Student Karl-Welteke is next. Zc146. Navy Diver School, Second Class, San Diego 1963, the next 7 images are about our SCUBA training. 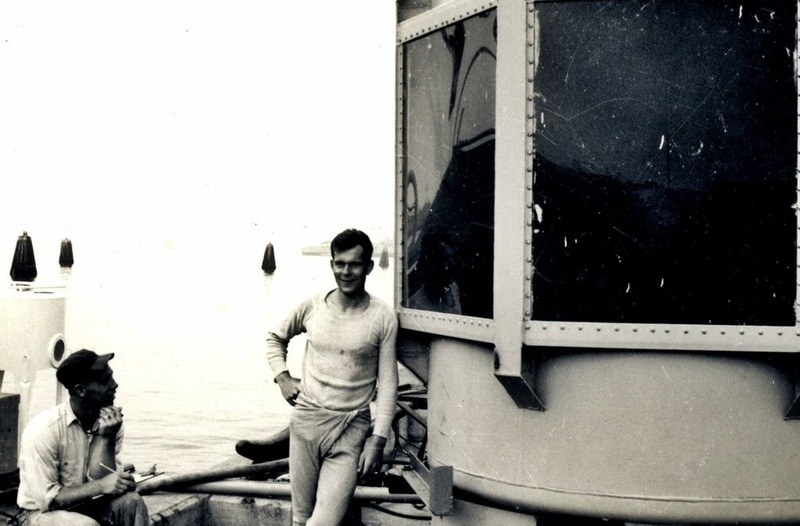 This is my shipmate DC2 Auman he asked me to volunteer with him for diver training in order to fill vacant diving billets on our ship USS Belle Grove LSD-2. Thank you very much, Petty Officer Auman and Buddy!!!!!!! I met him again later as a CPO and EOD diver. Zc147. 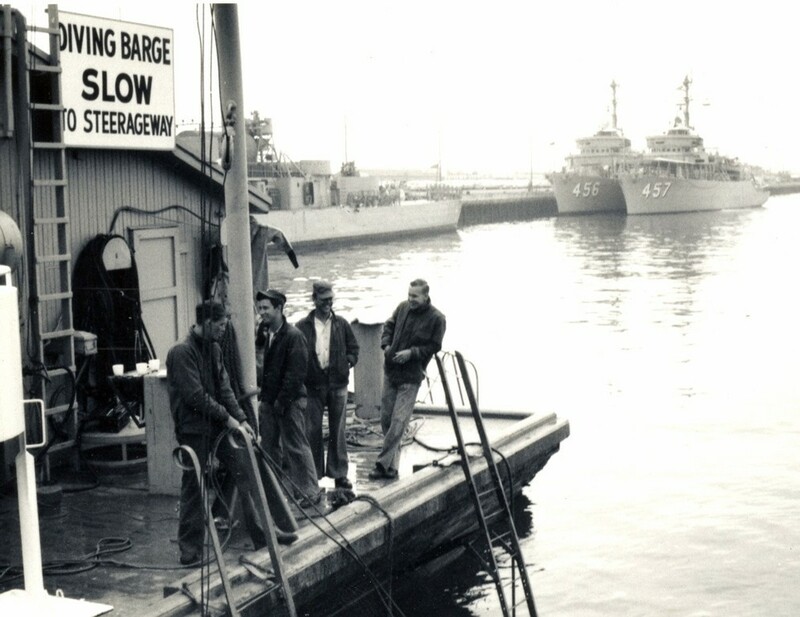 Navy Diver School, Second Class, San Diego 1963, we used a converted cargo barge as a classroom and platform for surface supplied diving training. We started out in a swimming pool, and then we dove of this amphibious pontoon causeway, alongside our diving barge, to give us open water swims and SCUBA diving. Zc148. 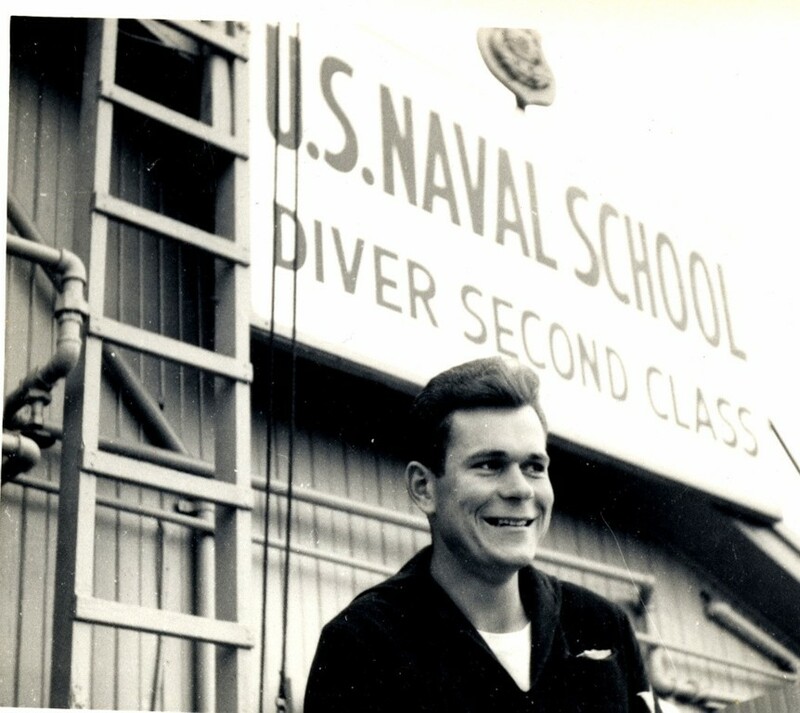 Navy Diver School, Second Class, San Diego 1963; the diving school had a diving boat we used to do our SCUBA open sea dives, offshore from Point Loma in San Diego, that is me as a student. Zc149. Navy Diver School, Second Class, San Diego 1963; the diving school had a diving boat we used to do our SCUBA open sea dives, offshore from Point Loma in San Diego, one great thing about the military, they feed us-lunch break. Zc150. 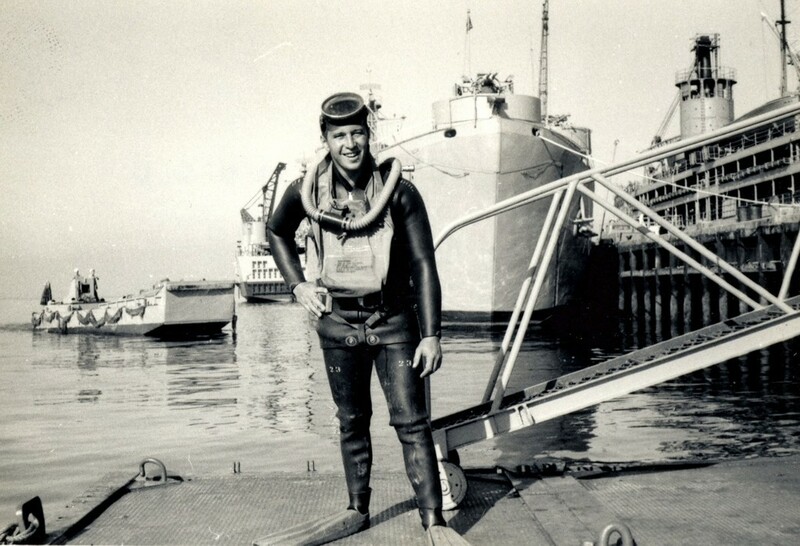 Navy Diver School, Second Class, San Diego 1963; we are doing open sea dives, offshore from Point Loma in San Diego. We used the 90 cubic feet aluminum tanks and the double hose nonmagnetic regulators. 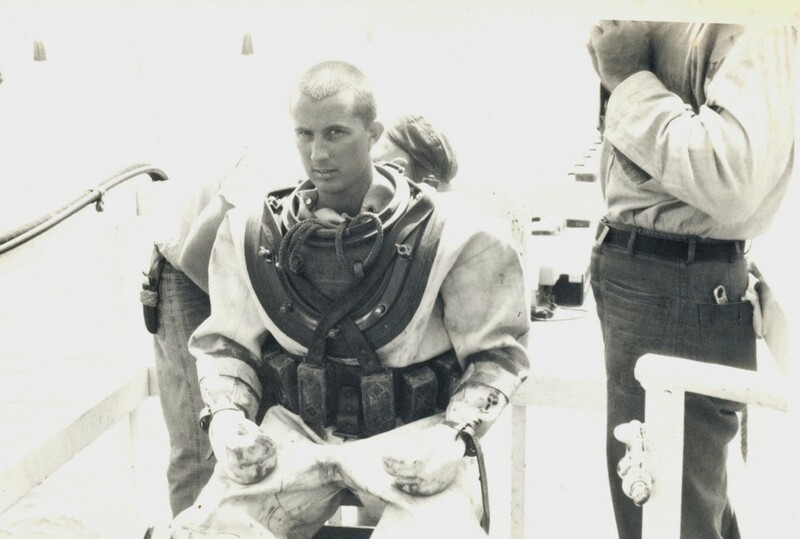 That gear was designed for the EOD divers. The bottles were heavy and the hoses often leaked water into the air supply hose. Zc151. 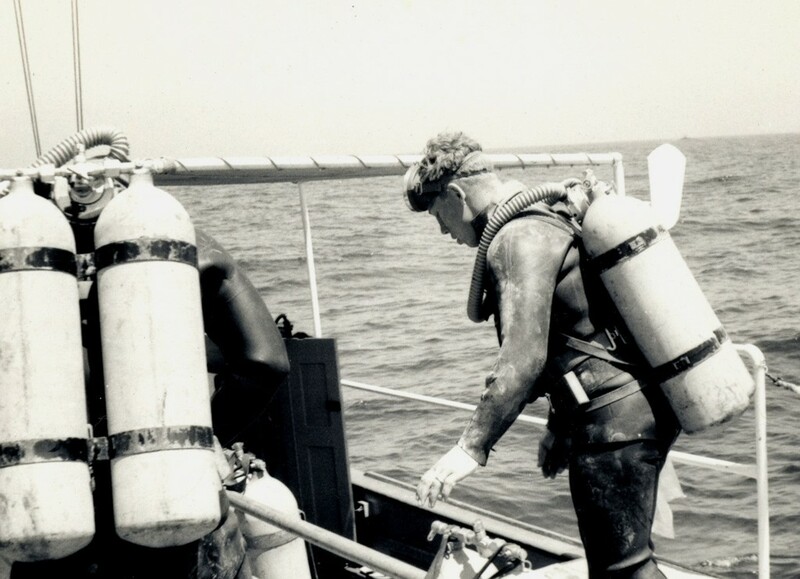 Navy Diver School, Second Class, San Diego 1963; we are doing open sea dives, offshore from Point Loma in San Diego. 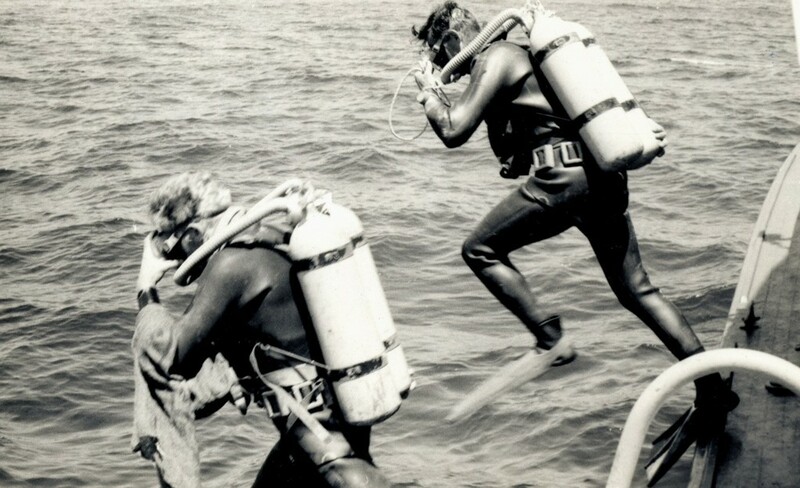 A SCUBA team enters the water, always as a two man team. We hold our mask and bottle from not losing the mask and the tank not hitting your head. Zc152. 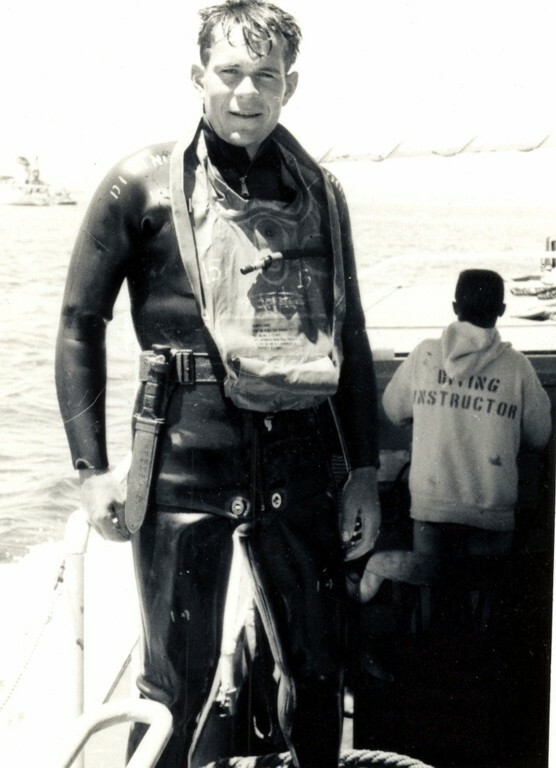 Navy Diver School, Second Class, San Diego 1963; we are doing open sea dives, offshore from Point Loma in San Diego. We assemble at the descent line and start our descent together as a team. 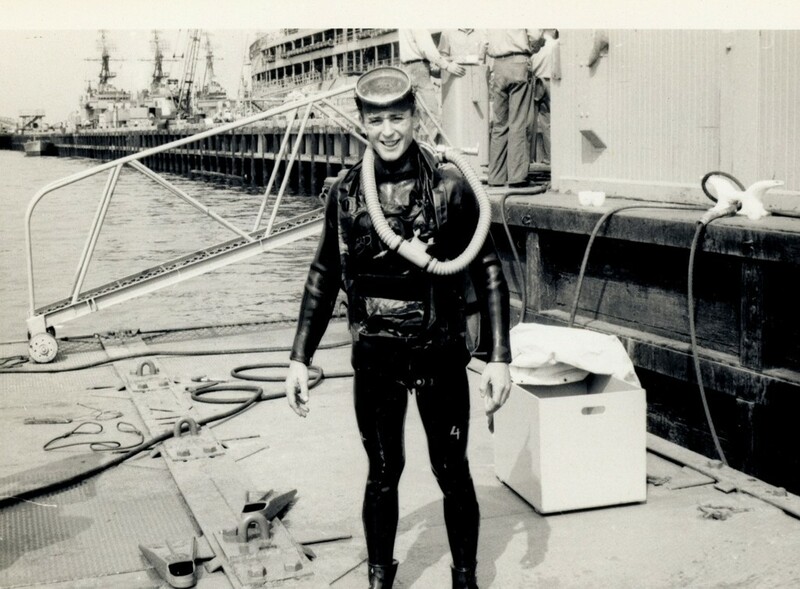 The diving training was a great experience and channeled my next many duty stations, during 30 years of service, always to a diving command or a command with diving billets.